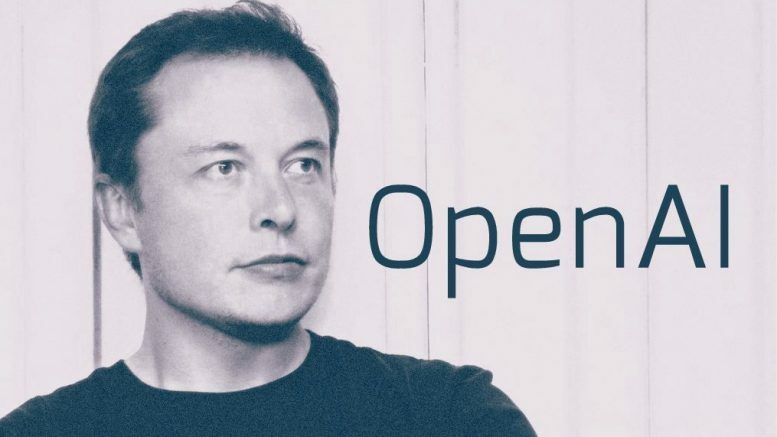 OpenAI is Elon Musk’s new program to safely advance artificial intelligence in a practical, modern, and safe way. Elon Musk himself has described AI as a “fundamental existential threat to humanity.” Elon Musk and the OpenAI team are being very cautious with the development of AI for this reason. OpenAI implements a new way of looking at AI development. Previously in the earlier tests of AI, people thought that training bots to solve single tasks would open up opportunities for “human-level intelligence algorithms.” OpenAI along with a few other modern AI development companies are employing deep learning. Deep learning means that instead of hand coding programs that the AI can use for a single, specific task, programmers create generalized “architectures” that can be manipulated for numerous tasks. This way the artificial intelligence can work with itself to learn new more efficient ways to solve a problem. Deep learning allows the bot to teach itself. This way AI can use a single type of architecture and create multiple algorithms completely based off the data you feed it. The media recently has been covering the OpenAI tests in the MOBA Dota 2. Dota 2 like other MOBAS is a top-down 5v5 arena strategy game. Dota 2 currently has 113 characters, 1 main map, and dozens of items. A game with such complex interactions, strategies, progression, and mechanics was thought to be too complex to create a viable AI. OpenAI, has been tested against itself tens of thousands of times, slowly building strategies and algorithms to identify the opponents next move. OpenAI, at this point, was getting better quickly and gaining more publicity among fans of Dota and tech. OpenAI was getting tested against actual players now. It was clear that putting a human-like restraint on the bot was necessary. The goal of OpenAI (in Dota 2) was to create a human-like bot that could be better than the best while being plausible for a human to achieve. If a bot could have the processing speed of a human rather than a super-computer it would be a fairer fight. Humans can’t buy an item and use it in 2 milliseconds when a bot can. A bot doesn’t have to use a keyboard and mouse to play the game, it just does. What this bot evolved into in 6 months started to beat players that have been at the game for years. Even with the human-like restraint the OpenAI bot won 10-0 against most high ranked players. There have been a lot of professional Dota 2 players. Some of the best players in the world only get 1 round against OpenAI. OpenAI has been very interesting to keep up on the past few months, and I can’t wait to see what the OpenAI team do with this project in the future. If you want to see any matches of the bot competing against players in Dota 2, YouTube is a great source for most of the videos. OpenAI also has a website and multiple other resources available online for people to check out. Each week we are hearing more advances in artificial intelligence that are definitely worth reading.